What is it like being an accountant? Would you make a good accountant or accountant? Take our career test to find out how you match with this and over 800 other careers. When you think of an accountant, perhaps you visualize someone fairly geeky who does nothing but crunch numbers all day, his hand a blur on the adding machine. That image is a thing of the past. These days, accounting is more of a team effort, and you are likely to start out as a junior member of a team. 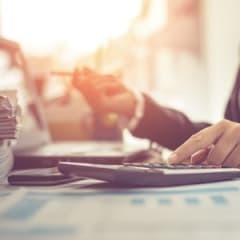 You may be responsible for preparing company financial statements, auditing a client's financial statements, or perhaps spending one-on-one time with clients and helping them with their unique accounting issues. Being an accountant in today's world means having the ability to cooperate and communicate with other people, as well as having excellent detective and problem-solving skills. The tasks involved in this career are much more diverse than many people think.